I taught photography and other art classes at Dominican University, River Forest, Il and Elmhurst College , Elmhurst, Ill. from 1980 to 2014. Marcia Daehn Palazzolo has a birthday today. Marcia Daehn Palazzolo posted a message. My Youngest two Grandchildren, Olivia and Leon Palazzolo, who live in Munich, Germany. 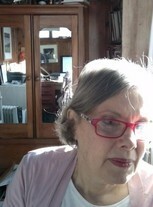 Marcia Daehn Palazzolo updated profile. View. Marcia Daehn Palazzolo posted a message. New comment added. This is my younger daughter Amy with her youngest child, Danny. Marcia Daehn Palazzolo added a photo to profile gallery. Marcia Daehn Palazzolo changed "Then" picture. 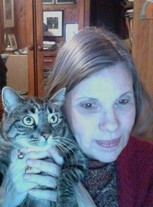 Marcia Daehn Palazzolo changed profile picture. New comment added. Marcia Daehn Palazzolo has a birthday today. New comment added.